These are the questions that haunt artist Maddy Varner. 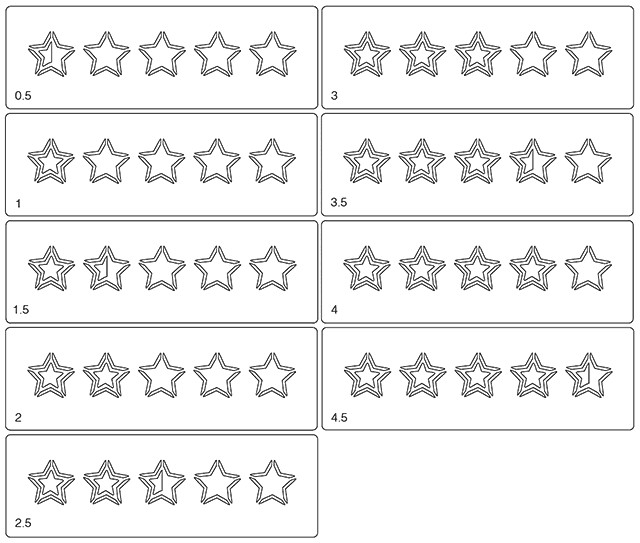 Borrowing the visual language of rating sites like Yelp, UrbanSpoon, or Charmin’s charming SitOrSquat, Varner has created a set of downloadable stencil patterns for indicating ratings on a five-star scale. 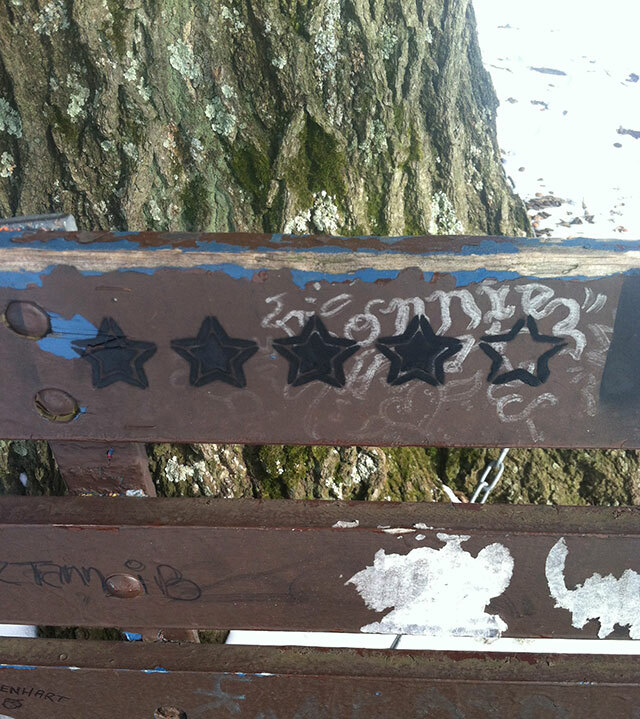 5-Star Graffiti is a simple, portable tool for warning fellow citizens about danger and cluing them into good situations. The stencils can be used to inform the masses of your important opinions on toilets, crosswalks, maps, access ramps, staircases, railings, monuments, billboards, and everything else! 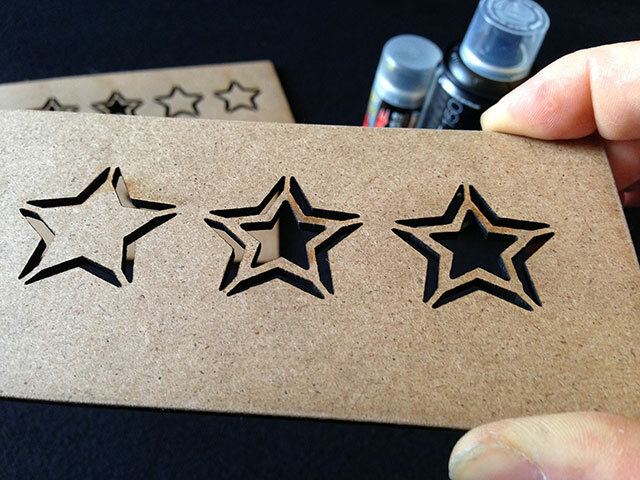 5-Star Graffiti is available for download in laser-cutter ready PDF, EPS, and AI formats. 5-Star Graffiti was supported by a microgrant from the Frank-Ratchye Fund for Art @ the Frontier (FRFAF)— an endowment founded to encourage the creation of innovative artworks by the faculty, students and staff of Carnegie Mellon University. With this fund, the STUDIO seeks to develop a cache of groundbreaking projects created at CMU — works that can be described as “thinking at the edges” of the intersection of disciplines. 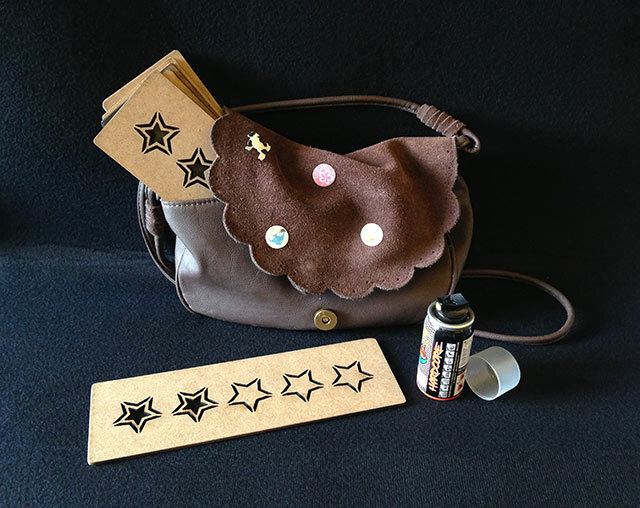 Maddy Varner is an undergraduate student in the School of Art at CMU.